When Automatic Project Validation is set, FinalBuilder automatically performs some simple validation when running a project, avoiding failed runs caused by simple, detectable errors. See Running a Project for more information on the difference between these types of runs. Normally, validation should be turned on. You may wish to selectively turn it off if you need to run part of a project while another part is incomplete. 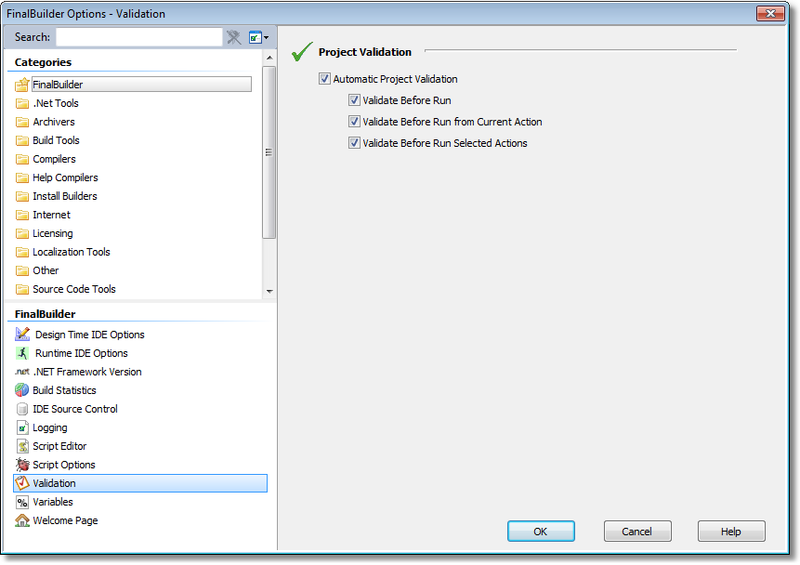 For more information about what errors validation can detect, see Project Validation.